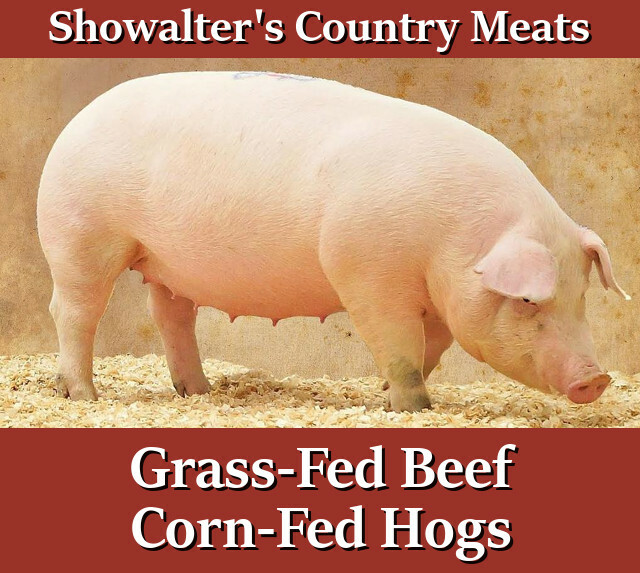 Showalter’s Country Meats is always pleased to process our customer’s animals. 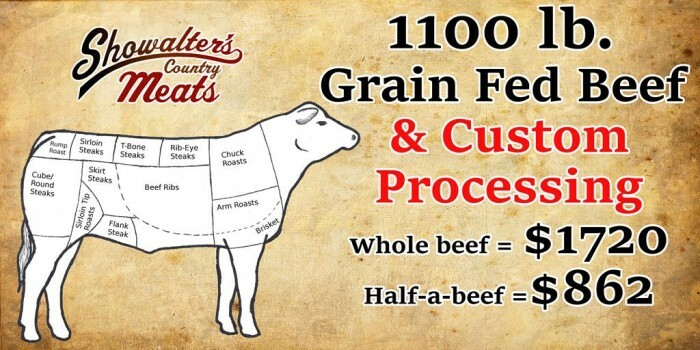 However, if you don’t have any animals to process, or simply want a different kind of meat filling your freezer, we sell our own farm-raised, grass-fed beef and locally-grown, grain/corn-fed beef. We also sell or can source wonderful corn-fed meat hogs for some of the highest-quality pork available (see below for more details). If you have a taste for the wild, you can always have us process any deer you harvest instead. Learn more about our custom deer processing services here. $350 gets you a 300lb live weight corn-fed HOG AND COMPLETE PROCESSING*! Through a local farmer we’re pleased to offer corn-fed meat hogs. These hogs have just the right body style to provide your family with thick, rich bacon, juicy sausage, savory chops, and much more! 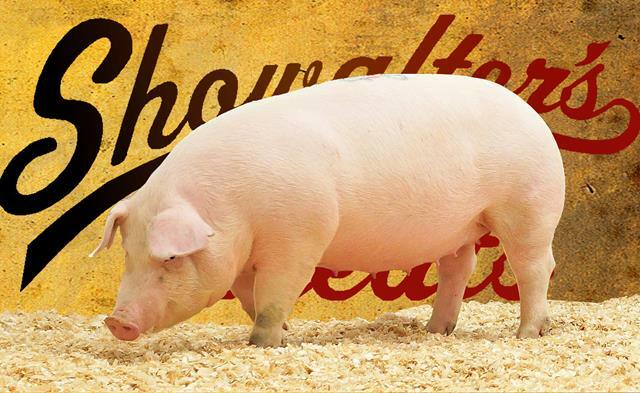 350lb live weight Hog & Processing Package Deal: All For $625! 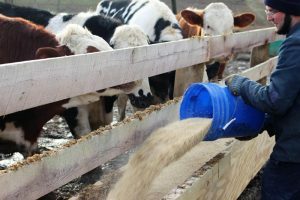 We are pleased to offer you locally raised grain-fed beef, custom processed to your specifications. 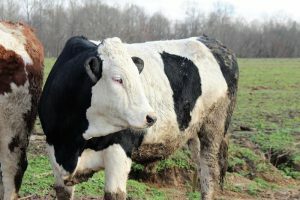 We’ve all heard about how healthy and lean grass-fed beef is. But if you’re looking for the juiciest, most flavorful meat, then you want grain-fed beef. Those extra calories and carbohydrates consumed by the cattle help produce the kind of marbling that makes for the absolute best steaks and roasts around — the kind of marbling you just don’t get nibbling on salad greens your entire life. 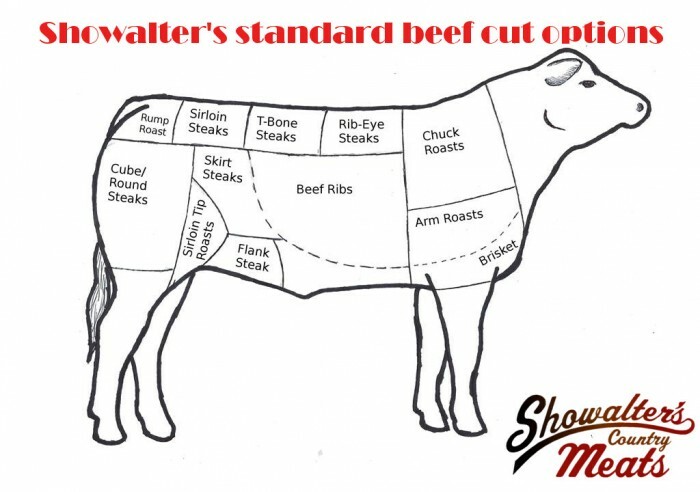 If you’re looking for a great deal on grain-fed beef, give us here at Showalter’s a call, and let us prove to your tastebuds the difference in quality and flavor! Options include Steaks, Roasts, Brisket, Burger, beef ribs, etc. How much meat comes from a 1100 lb beef? We normally get at around 40% of live weight for finished product. This will vary depending on how many bone-in products you get as opposed to boneless products. Feel free to give us a call if you have any questions about our grain-fed beef. Currently booking for Mid Summer of 2019. 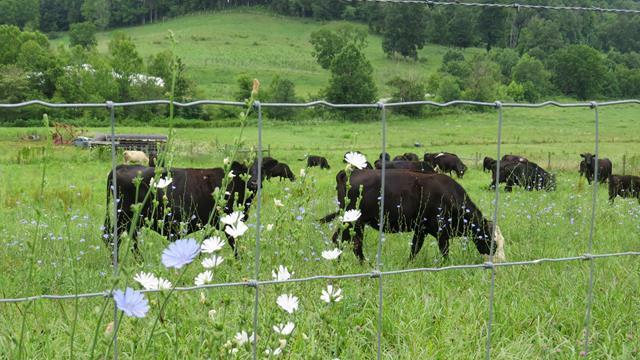 When you buy our grass-fed beef, you can stop worrying about where your meat comes from and how it was treated. 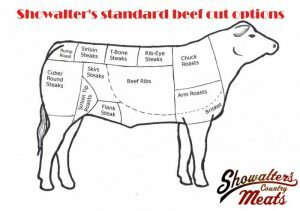 Whether you’re looking for an entire cow or just a half, we’re here to give you exactly what you’re looking for! Call today for details, visit our farm / butcher-shop, or call us to place your order!